Fred and Nell's parents are off to a meeting. But first they tell Grandma, “Here's what they'll be eating. It's school in the morning, they can't be up late. But, hang on, there's something not quite right about Fred and Nell's grandma. In fact, she acting very strangely indeed. And is that a spare eyeball? A tail? A striped tongue? That's NOT their grandma, it's an alien . . . RUUUUUUNNN! 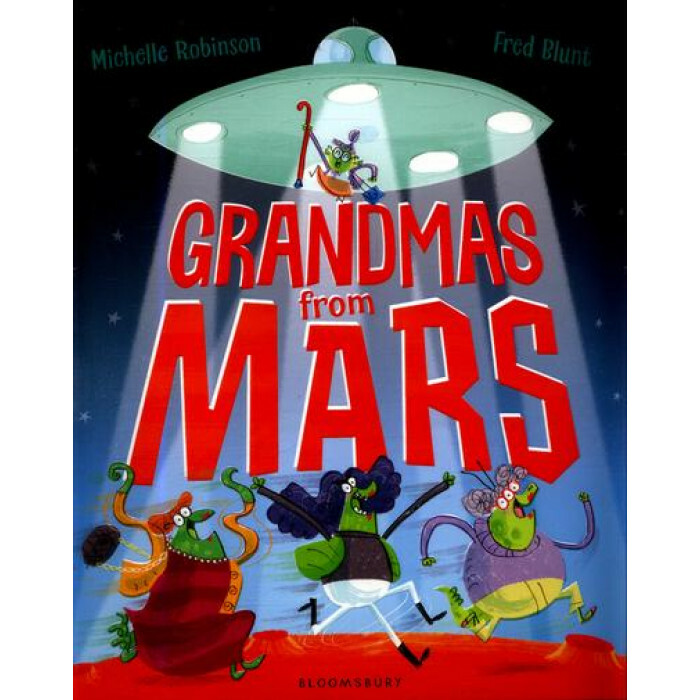 Completely crazy and brilliantly bonkers, find out how Fred and Nell overcome the invasion by Grandmas from Mars (and get their own grandma back!) in this fun and irreverent picture book from the talented Michelle Robinson with illustrations by rising star, Fred Blunt.